Our Greeters - Hilltop Acres Poultry Products Inc. 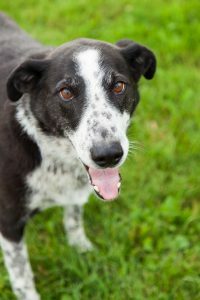 When you arrive at Hilltop Acres Poultry Farm you will be welcomed by our furry family before anyone else! 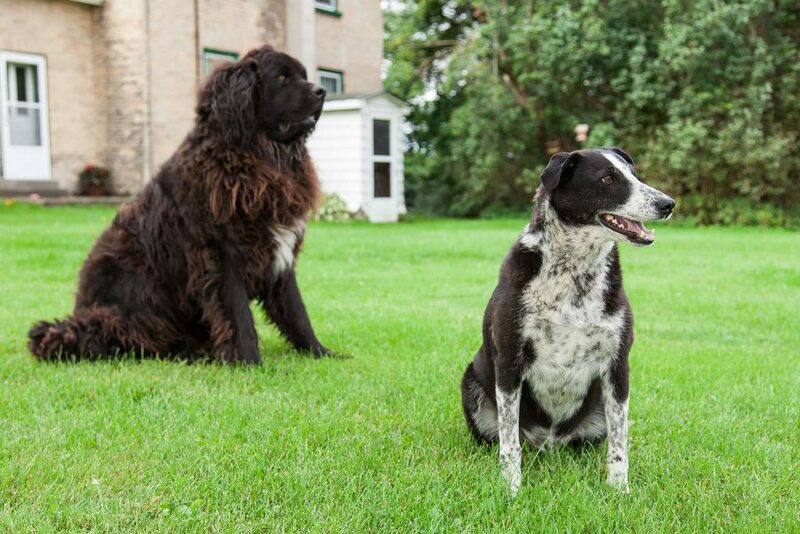 Big Ben and Buddy are a big part of our family as well as our business. This is a description of our 7 year old Bordor Collie/cross “Buddy”. He loves everyone and wants to play, but by his rules! If you touch the ball or frisbee it is a game of tug of war. He really likes this game! If you tell him to drop the ball, it is time for you to kick the ball so he can fetch it and bring it back for more. Buddy likes to crouch down and is very intent on watching which way you are going to kick the ball – so he can try and block it. He especially likes playing with children and will often rotate who gets to kick the ball. 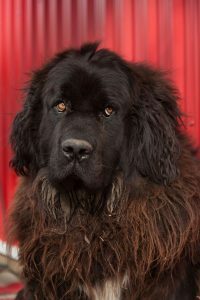 Then we have 3 year old “Big Ben” Ben is a 220lb Newfoundland and looks like a Black Bear. He is very gentle and loving. He will often lay in front of the door so that he can get a cuddle, pat or tummy rub before customers enter the store. He especially likes popsicles and is always willing to share YOUR cookies. Both of our greeters have their favorite customers. Those with dogs, kids, a gentle cuddle or just love.